Over the years, our forums have become pretty reliant on Lupita Nyong’o to deliver a beautiful cover, whether she’s fronting Vogue, InStyle or British Harper’s Bazaar. 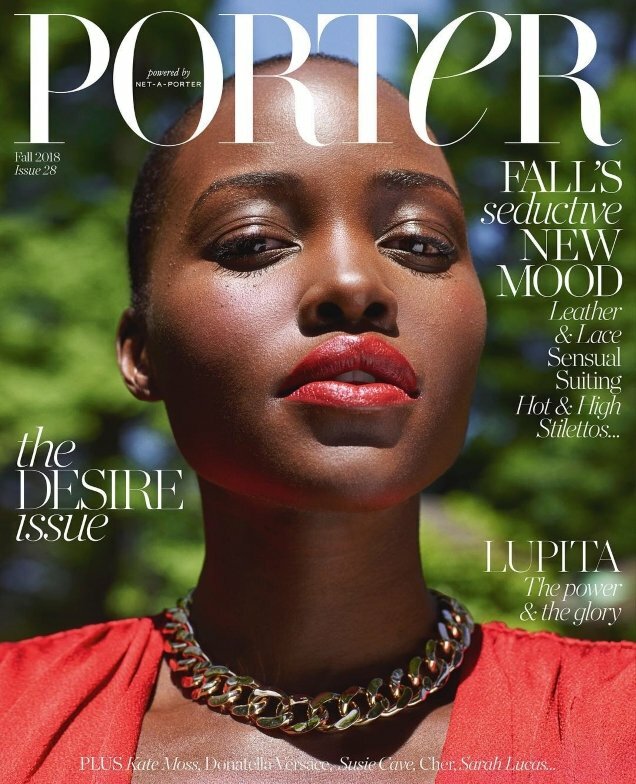 Lupita’s last notable magazine cover was for Allure (which our forums obviously loved) and the actress is now following in the footsteps of Anja Rubik, Karlie Kloss and Natalie Portman by becoming a Porter cover girl. For the title’s Fall 2018 edition, Lupita poses in the great outdoors for two covers shot by Mario Sorrenti, wearing a red Gucci number styled by Cathy Kasterine. Can Lupita continue her winning streak this month? “Beautiful shot! The angle and cropping is perfect, love the red, and she looks much better to me when she’s not smiling. It’s almost embarrassing to compare this cover to US Harper’s Bazaar considering Sorrenti shot both of them. Proof that it’s all due to the styling,” said tFS forum member Benn98 the moment the cover struck. “I quite like it. The colors are perfect,” Les_Sucettes added. “This is gorgeous! I think a big part of why I typically love Sorrenti’s photography is that he’s able to mix outdoor and studio shots and it’s not boring or disconnected,” said KateIsGr8. “Lupita is beautiful and photographs like a dream. Always love seeing her on covers. She delivers,” commented mepps. Mikel described the cover as “gorgeous” and we couldn’t agree more. Check out Lupita’s accompanying cover story, see what else Porter‘s latest to offer and share your thoughts here.